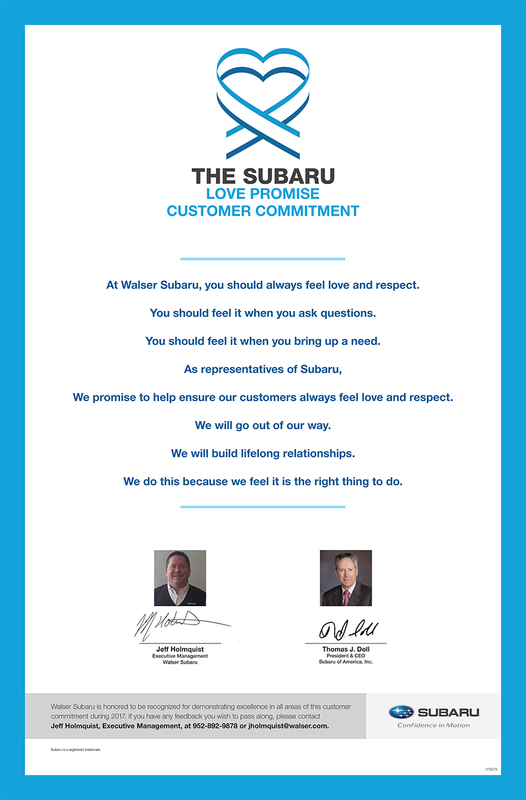 How is Walser Subaru dedicated locally to the Love Promise? Our love promise can be seen in different ways such as local charity events and non-profit charities, along with share the love events. This is our way of being apart of the community. Did Walser Subaru go above and beyond, provide exceptional service, or support causes that are important to you? We'd love to hear about it. On Tuesday, June 26, 2018, as part of the national Subaru Loves to Care program, Walser Subaru worked with The Leukemia & Lymphoma Society to deliver 80 blankets, along with arts and crafts kits and cards of hope to patients at University of Minnesota Masonic Children’s Hospital.Jeff Holmquist from Walser Subaru and Nancy Warner from the Walser Foundation came to represent Subaru.They lit up the room when they brought in the gifts and were excited with the opportunity to hand them out to patients at the hospital. The patient ambassador who accepted the blankets on behalf of patients at Masonic Children’s Hospital was Nate Gfroerer. Two and a half years ago, 14-year-old Nate received the life-changing news that he had Chronic myeloid leukemia. For a time, Nate was treated with a targeted therapy drug,tyrosine kinase inhibitor (TKI). However, Nate’s specific CML type was not responding to these medications. The oncologist then suggested a bone marrow transplant. Fortunately, Nate’s older sister, Katelyn was a perfect match! On Feb. 9, 2018, Nate was admitted to the Masonic Cancer Center. After undergoing radiation, chemo, and a bone marrow transplant— Nate is now cancer free! Patients were excited to see the blankets and craft kits and touched by the cards they received in the hospital. They spoke of how much these acts of kindness mean to them and how inspiring it is to see people making a difference. Nate and his family were especially grateful for the cards and blankets from Subaru. They couldn’t have had better things to say about the staff at Masonic Children’s and how smooth they made the whole process. Nate is happy to be in remission and spoke of his summer plans looking at colleges andgoing to his cabin. 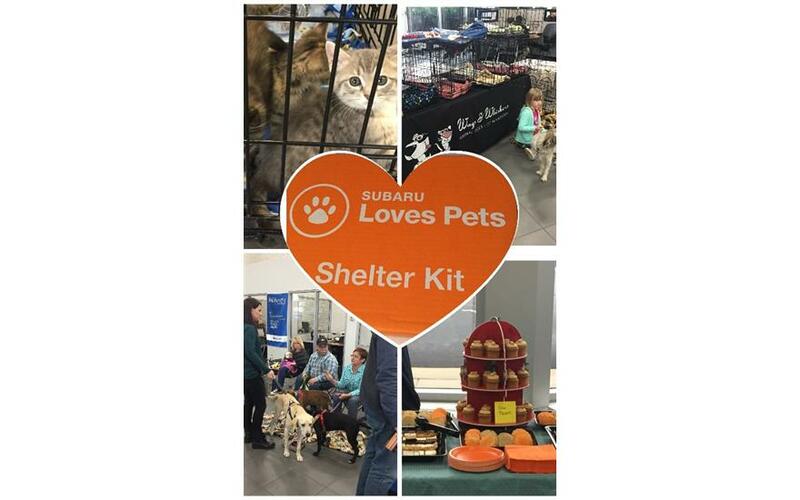 Walser Subaru showed their commitment to “Subaru Loves Pets” month by hosting an adoption event on October 28th with the local rescue organization Wags & Whiskers Animal Rescue of MN. From the beginning stages of planning, Kristen made everything so smooth and easy for us. There was local advertising, social media advertising and people were eager to attend the event. When we arrived all of the employees of Walser Subaru were so helpful and made our fosters and their animals feel welcomed. We had 13 dogs and 18 cats in attendance and had many successful adoptions originate from the event. The feedback we received from the adopters and our foster families were filled with so many positive stories and a strong desire to work with Walser Subaru again in the future. The sponsorship, time, care, shelter kits and new adoption parent bags were more than we could have ever asked for and we at Wags & Whiskers are very thankful to have developed this new partnership with Walser Subaru. The support for our mission of saving animals, educating the public on fostering, adopting, and the importance of spay and neutering animals, was uplifting from the National and local level of Subaru. You have won us over and you will have new customers for life because it. 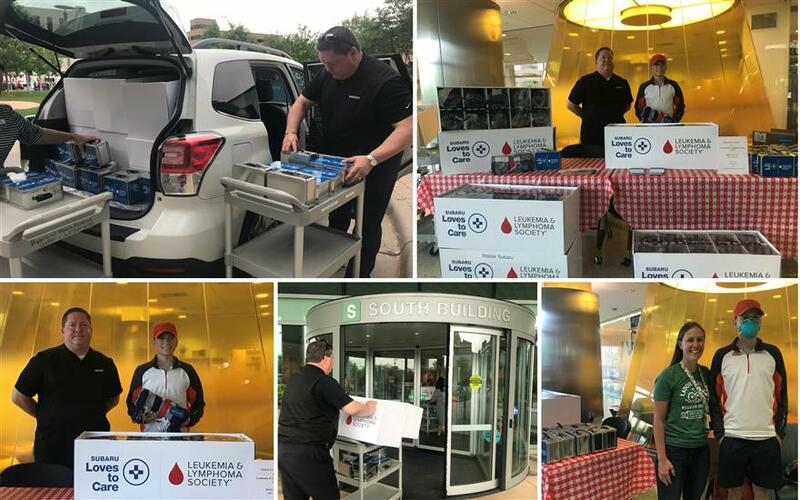 For the second year in a row Walser Subaru, Subaru of America and The Leukemia & Lymphoma Society (LLS) are spreading love, hope and warmth to cancer patients and their families in communities across the country. This June, customers visiting Walser Subaru were given the chance to write personalized messages of hope to patients in their local community. Those care cards were then handed out alongside a blanket to provide comfort and warmth to patients during their cancer journey. 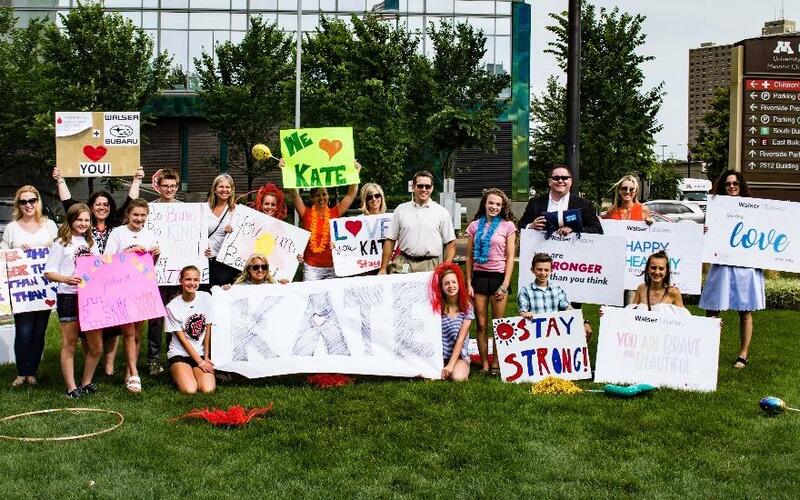 Kate, a current patient at University of Minnesota Masonic Children’s, was diagnosed with acute myeloid leukemia (AML) this year at the age of thirteen. On June 27, members of the LLS Board of Trustees, generous staff from Walser Subaru, and a group of Kate's friends created a flash mob underneath the windows of Masonic Children's with posters and messages of hope for all the children on the BMT unit to see from their rooms. The flash mob of course included crazy hair, blow up guitars, hula hoops, tons of posters, and of course the donated blankets from Walser in hopes of bringing some smiles to the faces up above. 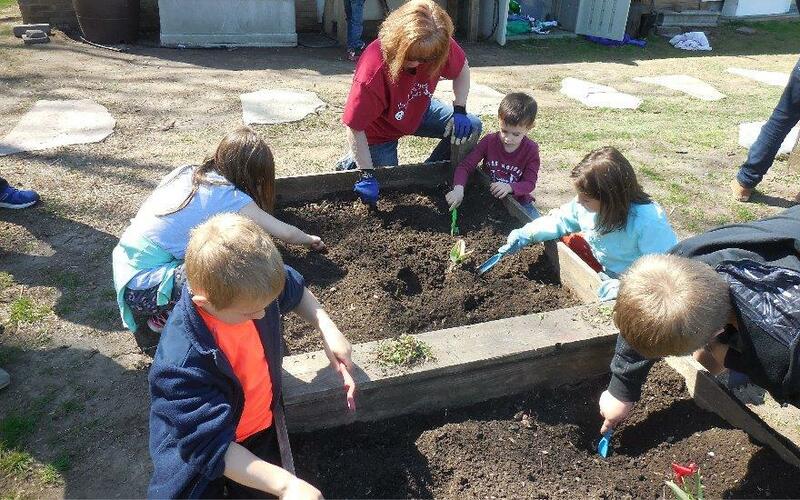 We used Earth Day as an event to invite parents, grandparents and friends to the school to clean up and plant our school garden. We followed the garden work with pizza lunch and a bonfire for the kids and their adult guests to enjoy together. Part of our Subaru grant was used to purchase many pairs of kid-sized garden gloves for our annual Earth Day Garden Clean-up event. Thanks to National Wildlife Federation and Subaru for helping us fulfill our mission of "Academic Achievement through Study and Exploration of the Natural World." I'm sharing this as a volunteer for Homeward Bound Rescue, a No Kill rescue and placement for homeless dogs, puppies and cats. The dedication of the Burnsville Walser Subaru employees has spanned over 10 years of caring. They truly understand the journey of the homeless pets just waiting for a forever home. The events in the past have been dog washes, adoptions, being part of the Aids Walk and even a baseball game. This year they decided to do "The Tree Of Hope" at the dealership. They gave their customers incentives to donate to the rescue. I almost cried when I saw the giant amount of gifts. Blankets, food, beds, toys, raw hides and more. As we loaded the bounty in my SUV, it was packed to the brim with all their needs. Dreams do come true for the orphan pets. 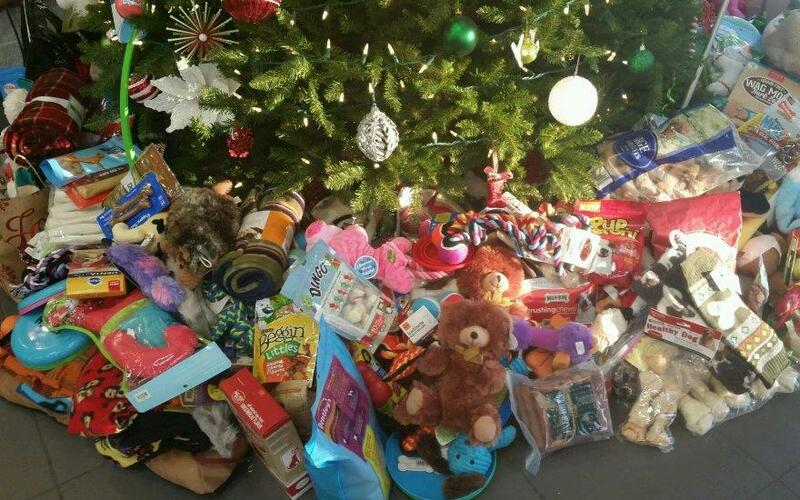 We are grateful for all the generous donations. Walser Subaru Burnsville, you have helped us save more four legged souls. With the generous financial donation from Walser Automotive Group, I was able to upgrade our equipment to the most modern day standards. Our Burnsville High School students are now able to gain skills relevant to industry standards, and be well positioned for employment and/or further education after graduation. 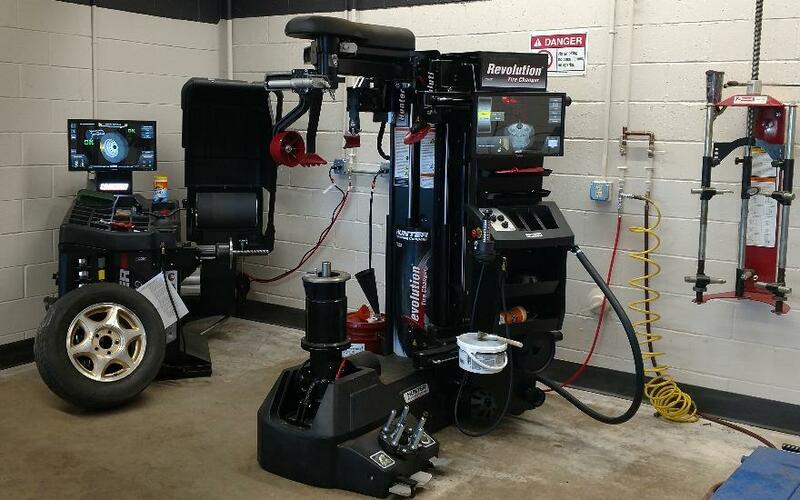 We were able to replace our decade old tire changing machine and tire balancer with the most modern road force balancer and robotic tire machine. In addition, Walser wants technicians to know how to use an “on car” brake lathe, so with their donation, I was able to purchase one and am now able to teach that skill. This new state-of-the-art equipment will provide my students with incredible learning opportunities that will prepare them for future success in the automotive industry. Grant was diagnosed with CML at age 7. After a year of treatment, his leukemia was in remission. He goes to Children’s quarterly and receives an annual bone marrow biopsy. Two of his medications are possible due to LLS-funded research. “When I take medicine, it keeps my CML low so I can be a normal 13-year-old.” Grant fund-raises year round and threw out a pitch at Strike Out Cancer. At baseball practice, he discovered his new coaches delivered Subaru blankets to the Masonic Cancer Center in memory of their coach, Todd, 2 weeks before Grant’s delivery! They have more in common than baseball. Walser’s blanket delivery was during Grant’s quarterly visit to Dr. Perkins. We met between Grant’s labs and clinic appointment. Afterward his mom sent this message: “Thank you so much to all involved today! Grant loves his blanket and informed me he may not get off of the couch the rest of the night because it’s so comfy! Grant received a blanket his first night in the hospital after being diagnosed. That was his lucky blanket. 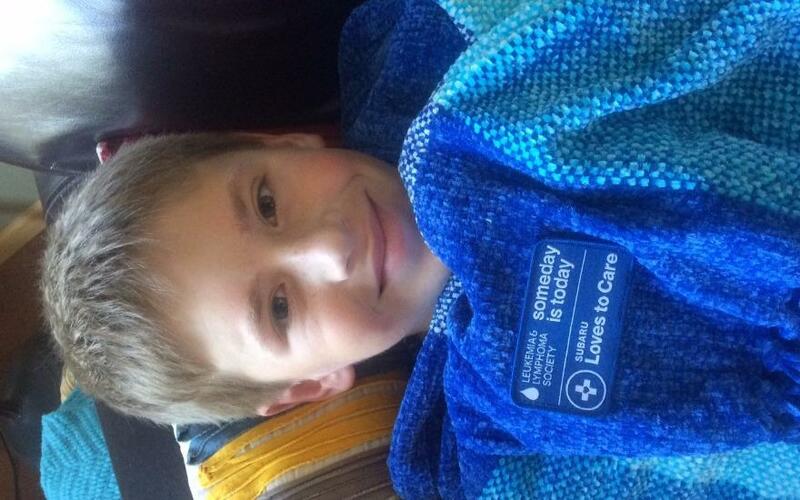 Once we heard the word remission, the lucky blanket went into his closet. Today we turned the chapter in Grant's story with a new fancy blanket and news of his 5.5 year anniversary! We will miss seeing you, Dr. Perkins, but are excited to visit the clinic only TWICE a year!” *Grant would like you to know that his "Grandma Jules loves her Subaru and has driven one her entire life! Well, not her entire life - because she’s really old". 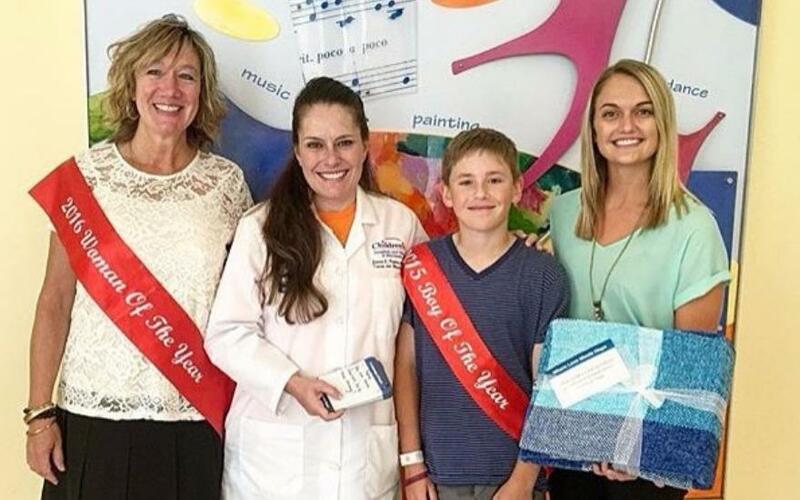 On July 21, Grant Albin, 13-year-old LLS Ambassador, accepted 60 blankets on behalf of cancer patients currently being treated at Children’s Hospitals and Clinics of Minnesota. Grant was diagnosed with Chronic Myeloid Leukemia (CML) in 2010 at just seven-years-old. After a year of treatment, his CML went into remission. Now, he goes to Children’s Hospitals and Clinics of Minnesota for quarterly clinic visits and receives a bone marrow biopsy once a year. For the most part, he manages his CML with oral medications and a daily inhibitor. Two of Grant’s oral medications are possible because of LLS funded research. “When I take my medicine, it keeps my CML at a low level so I can be a normal 13-year-old boy,” explains Grant. Dr. Joanna Perkins, Grant’s doctor, accepted the blankets alongside Grant and expressed her gratitude for the donation. “Grant loves Dr. Perkins. She is amazing and the staff at Children’s Hospital has been a blessing to our family,” said Stephanie. “My family and I are thankful for the research that is funded by LLS (that results in providing) medicines that help people like me with blood cancers. We support LLS and fund-raise so we can help find a cure someday. Thank you for supporting me and all the other people with blood cancers!” says Grant. The Albin family was thankful to be able to participate in this generous act from Walser Subaru. 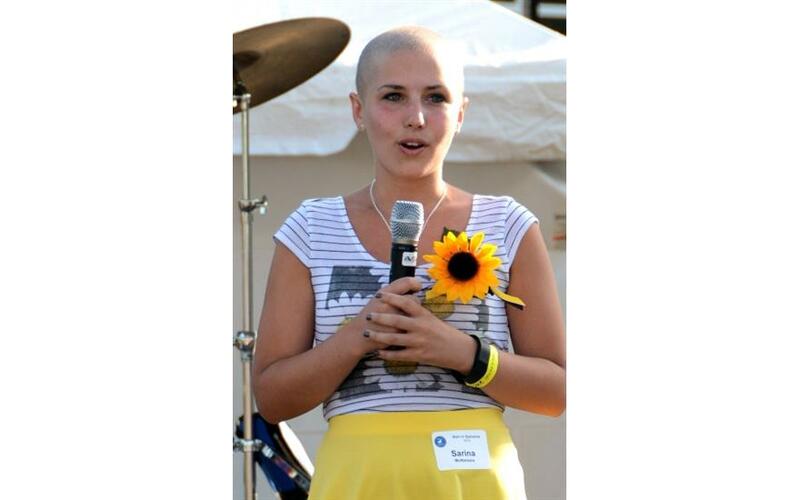 At Rein in Sarcoma we feel the love of Walser Subaru's "Share the Love"event. Being designated the local charity of Walser Subaru is not only a great honor for Walser to choose a rare cancer which gives us a real opportunity to inform the public about these deadly cancers. As we raise awareness we will save lives because early detection can increase survivorship by 20%. Sarcomas are cancers of the connective tissue and can occur anywhere in the body. Though rare in adults, sarcoma cancers are one of the most dominate and lethal cancers among children and young adults. Rein in Sarcoma is the primary sarcoma organization in the Midwest and has funded over $1.5 million in sarcoma research at the University of Minnesota. In addition we work in collaboration with Children's Hospitals and Clinics of Minnesota and The Mayo Clinic. As an all-volunteer organization, over 90% of your "Share the Love" donation is directed toward finding cures, supporting sarcoma patients and their loved ones and education.